Until very recently, I was an AI skeptic. To my mind, our AI future looked something like the horrifying episode of The Simpsons in which the AI house, voiced by Pierce Brosnan, tries to kill Marge – but instead, I envisioned myself on the run from Sophia the Robot. The escalating intensity of technology this year has made me feel like we're headed for robot vs human apocalyptic showdown, much like I, Robot (cue melting robot faces). But I guess what was really bugging me the most was that AI had found its way into art: something I value as an act of pure human emotion and consciousness. It wasn’t until I met curator and AI art expert, Ben Vickers, that I realised that the question isn’t what AI will to do art – it’s about what art can bring to the evolution of AI. If the way art has revolutionised humankind for the better over time is anything to go by, then perhaps art is actually the only way we can stop the robot apocalypse from becoming real life. For Vickers, who has collaborated with multiple artists on AI projects, and who recently curated Ian Cheng’s innovative AI show at the Serpentine, AI art is a new way for humans to understand our relationship with other non-human entities, like animals and the afterlife. As part of our campaign AGE OF AI, we hear from Vickers on five artists who are defining AI right now and leading us into the future. 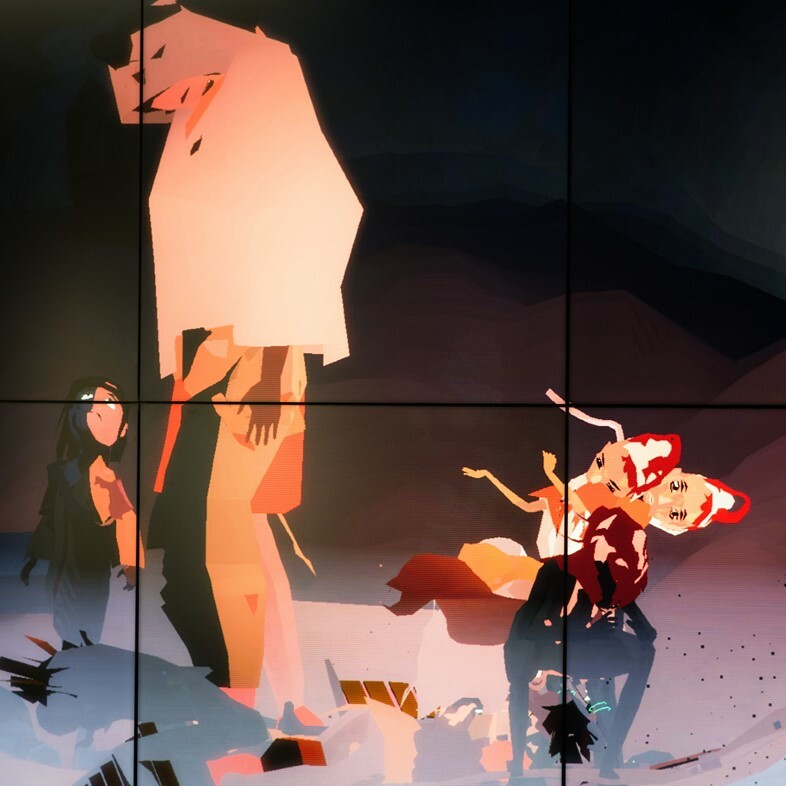 Ben Vickers: Ian Cheng is definitely the artist that is producing the most advanced work in respect to thinking about human relationships within the field of artificial intelligence. Let’s take, for example, the project BOB, Bag of Beliefs that we produced together at the Serpentine. In this work, he draws on theories such as Ursula Le Guin’s Carrier Bag Theory of Fiction, to rethink the narrative structure of AI. By creating a container for multiple AI inside one single organism, being BOB. Which introduces layers of complexity that are both theoretically narrative-driven and technically sophisticated. Ben Vickers: “Lynn Hershman is an artist who is fundamentally important to recognise in the history of artificial intelligence’s role in the arts, as she was producing artworks a long time before the current craze for AI in art. Developing key works such as Agent Ruby ’s EDream Portal, in 2002. Which mirrored development of AI bots created for the purpose of completing the turing test. Ben Vickers: “Jenna Sutela is a Finnish artist who works with slime mould, artificial lifeform, AI, and theories such as that of panspermia. Panspermia is a theory about how humankind was created, which believes we didn’t come from the Big Bang. It believes that instead, meteors birthed life on earth through the interplanetary transfer of microbial life. Other theories of Panspermia suggest that mushrooms were also brought to earth this way and are therefore among the oldest entities on the planet. Jenna draws from and develops upon these theories and materials in exciting and unexpected ways throughout her work. Particularly in her work Orgs that features the use of slime mould, demonstrating an entirely different and uncanny form of intelligence. Slime mould can root around a maze or a labyrinth and find food, so her work recognises that the mould has this very interesting form of intelligence that people haven’t necessarily assigned to it previously. That’s the work that she's done previously, so she has this relationship with non-human entities. Ben Vickers: “Hito Steyerl is without question one of the most important artists of our time and it's a great privilege that we are currently working together on a show that opens next March at the Serpentine. 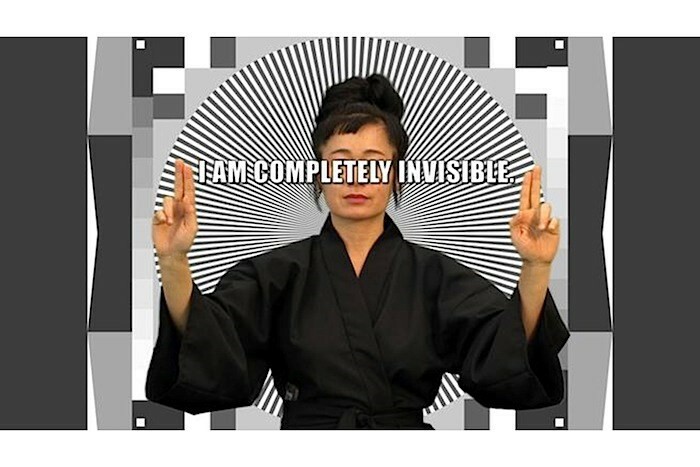 Steyerl works with different degrees of varying complex technologies primarily through video works and installations. The subject matter of her films ranges from autonomous space programs to the artworlds complicity in the military industrial complex. Her recent work has played a key role in framing the impact of advanced technologies on society. Ben Vickers: “James Bridle just released his book New Dark Age, which is an essential read on the key subjects around AI, and the dangerous feedback loops that are currently being produced. When we worked with James at the Serpentine, we developed a work called The Cloud Index. To develop the work, we fed a neural net with satellite images of the UK’s weather formations and Brexit polling results that showed the UK's relationship to Europe. What this did was produce a piece of software that can be used to create different weather formations based on different political outcomes. Here, James’ work looks at the history of the cloud, particularly in its early history in relation to the ENIAC computer being used to calculate meteorological result, but also the same computer used to run the mathematics of the atomic bomb. So there has always been a relationship between computers, the weather, the military-industrial complex.